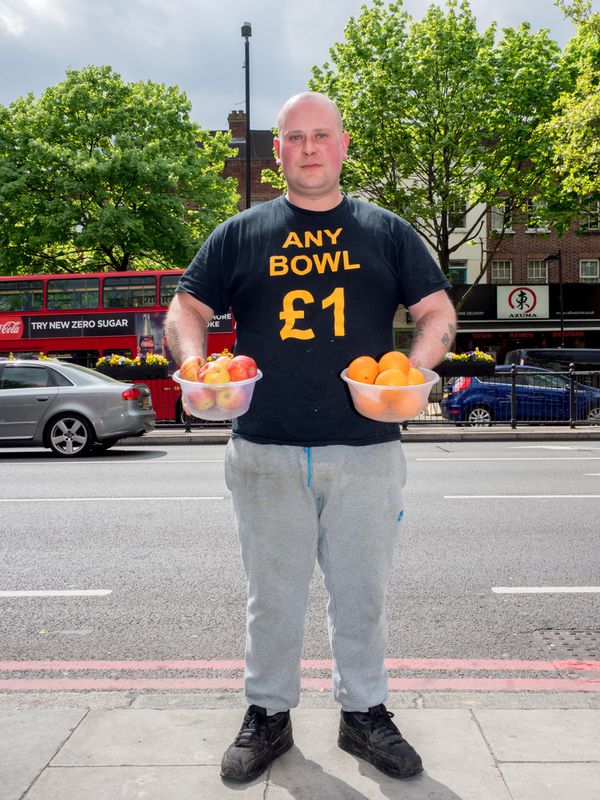 Mark, 32, from Essex selling fruit and vegetables. The business has witnessed price rises in transportation and import costs, according to Mark, as a consequence of Brexit. He is optimistic the business will survive until things settle down and will "Keep going". Holloway, London.